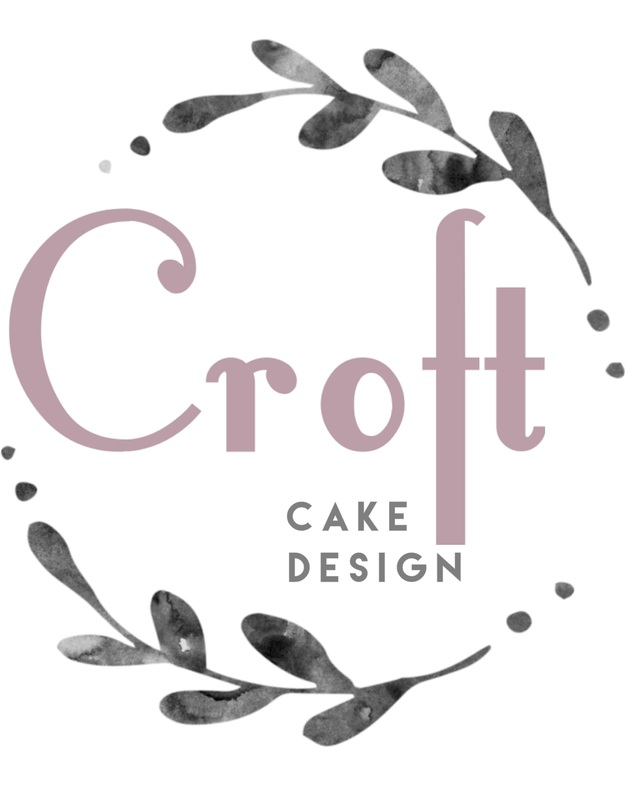 Our beautiful homemade buttercream is used to create the finish on the cake, a variety of finishes can be achieved, semi naked style, painted, rustic, old plaster effect, Rose swirls , ruffles, pleats or simply smooth. Each tier is generally between 5-6 inches in height. Servings are based on 1” X 1” x 5 inch portions of sponge cake. If you choose to have a tier of chocolate biscuit, this will yield more servings. Above prices are a guide only, every cake with be quoted individually, the final price will depend on design complexity. 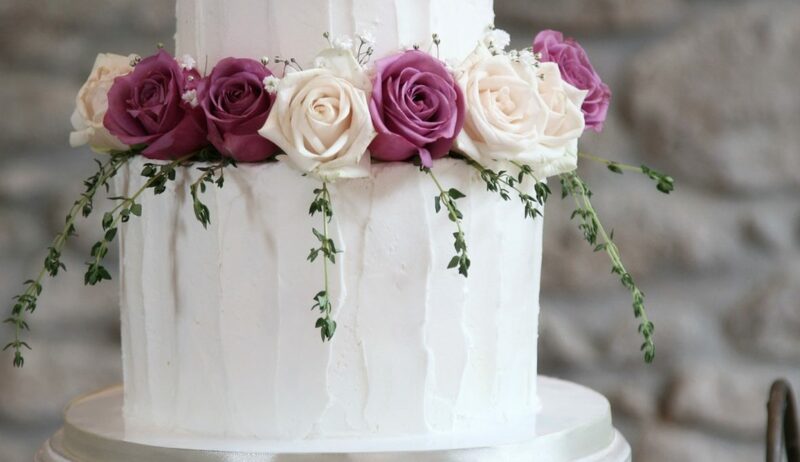 Prices above would include decoration using real flowers, (provided by your florist) just ask your florist to put aside a selection of your flowers for decoration on the cake and we will be happy to decorate with these on the day. If fondant icing is required on any of the tiers then is would be priced extra. Also, any bespoke intricate modelled decorations or handmade edible sugar/wafer paper flowers or leaves will be priced individually. Mini cakes – €4.50 each fully decorated. These elegant little beauty’s look fab alongside a main cake. Minimum order of 8 in one flavour choice. These would be cut in 2 for serving so 8 mini’s would give 16 servings. Sweet shortbreads – topped with modeling chocolate, can be personalised with any text. From €2.00 each. Traybake’s treats – prices range from between 28-40 euro for approximately 24 squares. 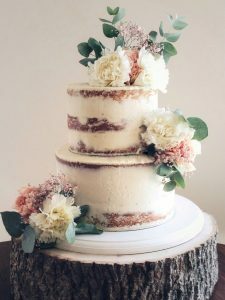 This is great value option to increase the number of servings and gives guests another tasty option in addition to the main cake. These can be presented beautifully on cake stands and flowers/berries can be added for decoration.